WHY CHOOSE Rymar ARTIFICIAL GRASS? Having a lush, well–manicured lawn doesn’t have to mean hefty maintenance or upkeep costs. Advances in artificial grass technology have resulted in cutting–edge, eco–friendly products that are a far cry from the “astroturf” products of the 1970s. This new breed of artificial grass is realistic, sustainable, functional, and best of all, it’s virtually maintenance–free. DESIGNED TO PERFORM Rymar Synthetic Grass offers the rich look of real grass with our environmentally-friendly synthetic grass and turf products. Designed for the ever-changing North American climate, the use of breakthrough materials and processes in manufacturing ensures they will look and feel just as realistic and beautiful for years. 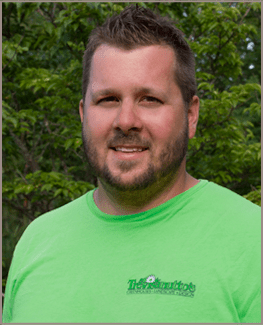 Finding an ideal low–maintenance natural grass option for your landscape is all but impossible. The constant watering, weeding, fertilizing, mowing, and patching of natural grass… well, there goes your weekend. Artificial grass, however, provides a waterless, low-maintenance solution without sacrificing the beauty, function or look of real grass. All that lawn equipment can stay tucked away in the garage. While heavy foot traffic or weather may result in worn areas or bare patches in a natural grass application, artificial turf will simply not wear down. Artificial turf is designed to hold up against high–traffic areas that regularly take a beating: playgrounds, schoolyards, pet areas and sports fields, just to name a few. 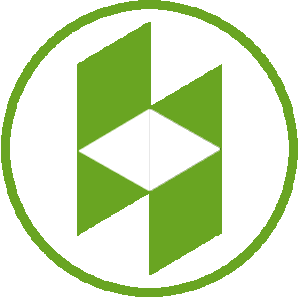 Plus, any reputable artificial grass product will be non–toxic and safe for pets and children. If you’ve been trying to grow natural grass in a harsh climate or on rough terrain, you know what a challenge it can be to maintain a lush lawn. 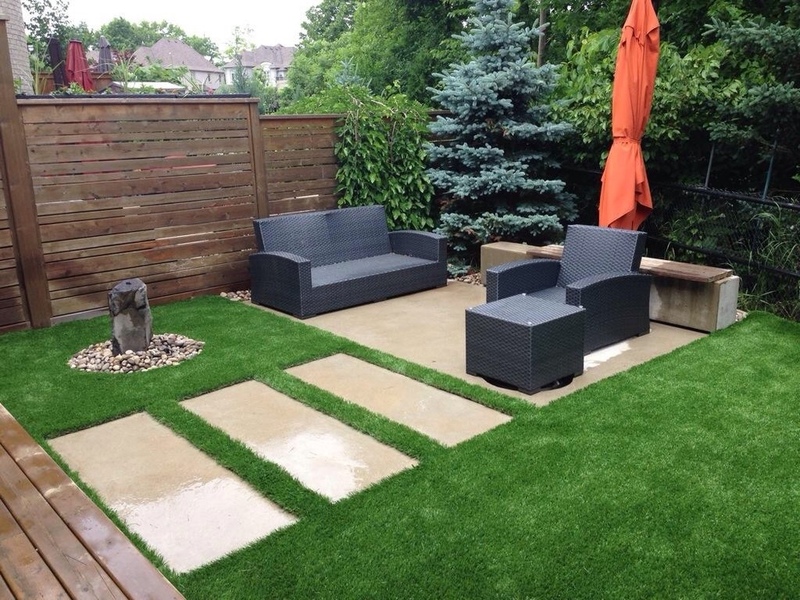 Artificial grass products are virtually impervious to the elements, so whether you’re dealing with drought conditions, muddy areas, steep slopes or hard-to-grow terrain, there’s a suitable artificial grass product for just about any location. The icing on the cake? Your lawn will look great year–round. 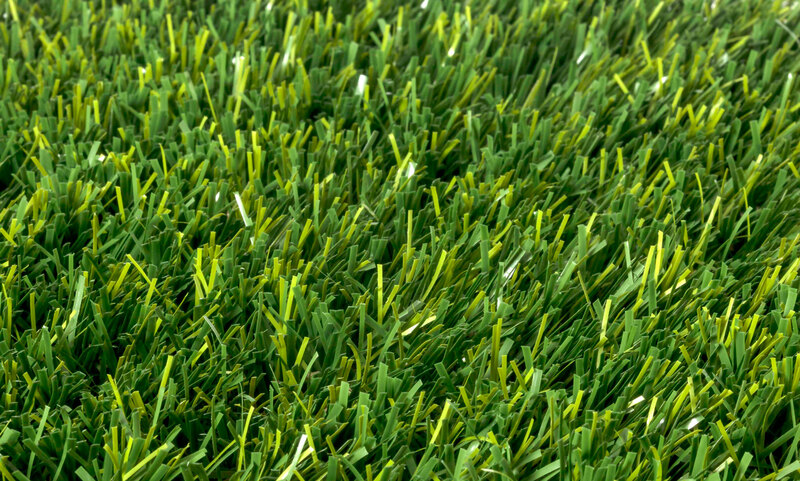 Unlike traditional grass, artificial grass products use recycled and sustainable products, while using less of the earth’s natural resources. Synthetic grass surfaces allow you to conserve water, while eliminating often–toxic fertilizers and pesticides. You’ll also see reductions in your maintenance and lawn equipment expenses, and you can rest easy knowing you won’t be releasing any harmful emissions into the atmosphere. 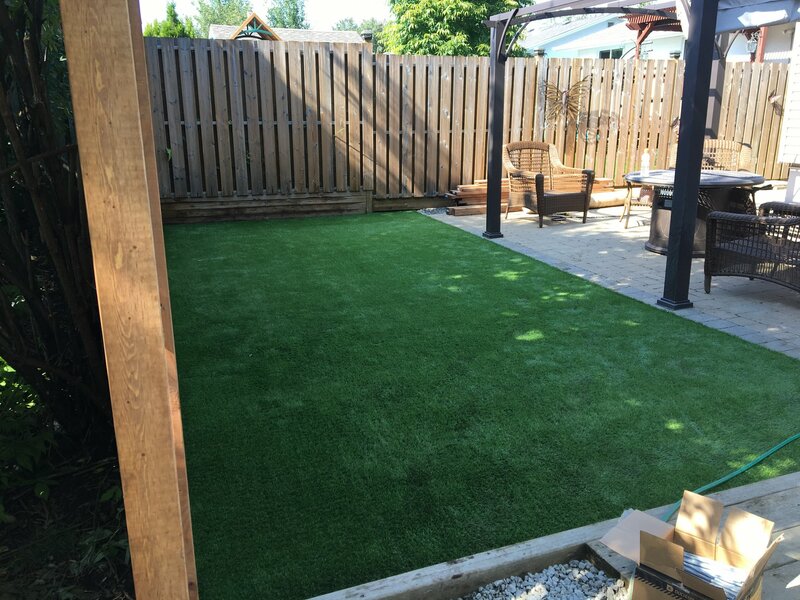 Yes, artificial grass is low maintenance, durable, and sustainable, but it’s also downright beautiful! After all, many golf courses are finding synthetic turf to be a functional and beautiful solution for their greens. 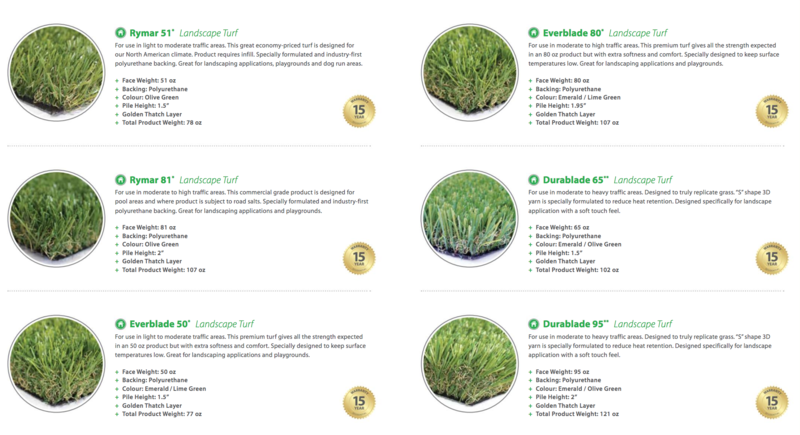 A high–quality artificial turf product should have a soft, lush natural–grass appearance that looks great year–round. These are just a few of the many benefits of artificial grass. Just imagine a lawn that looks great year round with no weeding, mowing, fertilizing or patching! Rymar Synthetic Grass offers the most dependable products, service, and experience when it comes to synthetic turf. 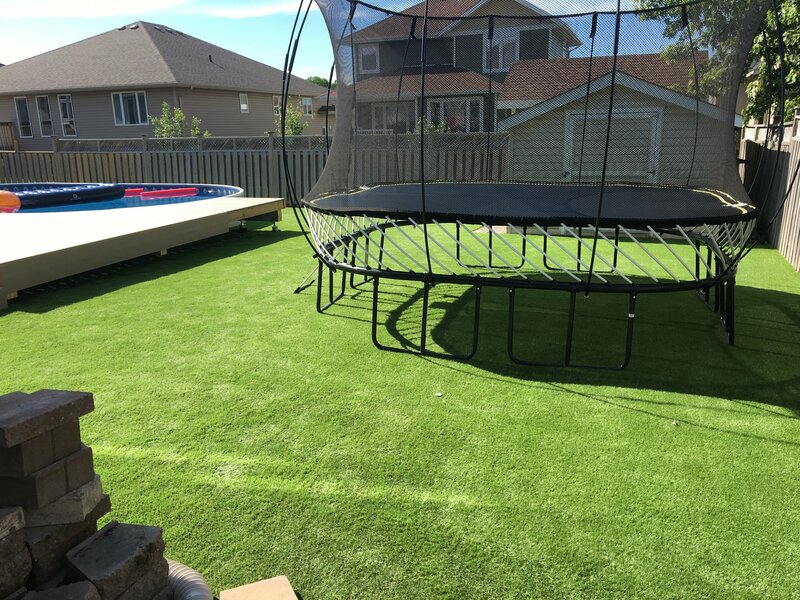 Their team has been a leader in synthetic grass for many years and have perfected their product well beyond industry standards. Rymar has been serving Canadians for 10 years and are growing in market share year over year. Trained installers can ensure your product goes in properly the first time, so you won’t need to waste money on touch ups or repairs. Before installation, the ground is smoothed, sculpted and filled so the grass doesn’t look like a blanket sitting atop a lumpy surface. It looks completely natural, even up close. If you want to know more about how these or any of can work on your property, contact our knowledgeable staff today.